The Ucranian Bass made his studies at the Nischni Nowgorod conservatory and very soon was prize winner of several international singing competitions, among others the rusian Schaljapin competition and Francisco Viñas in Barcelona. 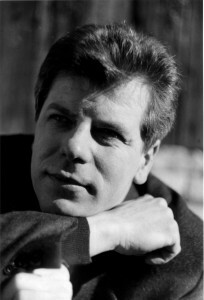 In 1994 made his debut at the Salzburg Festival performing LE ROSSIGNOL, followed by his USA debut with Ruslan RUSLAN AND LUDMILA at Carnegie Hall, New York; He has sung also Pimen BORIS GODUNOV and Sparafucile RIGOLETTO at Opera de Wallonie, Liege, Prince Yuri in THE INVISIBLE CITY OF KITEZH and Prince Gudal in Rubinstein’s THE DEMON at the Bregenz Festival, Banquo MACBETH and The Inquisitor THE FIERY ANGEL at the Opera de Nancy, the title-role of BORIS GODUNOV for the Komische Oper Berlin, for the Kölnarena Zaccaria NABUCCO and King Rene IOLANTHA for the Wiener Klangbogen. His repertoire also includes Gremin EUGENE ONEGIN, Kochubev MAZEPPA, Sobakin THE TSAR’S BRIDE, Don Basilio IL BARBIERE DI SIVIGLIA, King Philip DON CARLO, Monterone RIGOLETTO, and Timur TURANDOT. Guest engagements have brought Pavel Daniluk to Madrid, Lisbon, Cologne, Dublin, St. Petersburg, Brussels among others. Roles for Zürich Opera include Varlaam, Pimen, Basilio, Raimondo, Sparafucile, Fafner, Banquo and Nettuno in a new production of Monteverdi’s ULISSE conducted by Nikolaus Harnoncourt. For San Diego Opera he has made his debut as Don Fernando FIDELIO and Oroveso NORMA. His concert repertoire includes Verdi’s Requiem, Dvorák’s Stabat Mater and Requiem, Janácek’s Glagolitische Messe, Shostakovich’s 14th Symphony and Gretschaninow’s Demestwennaja Liturgia.